Dometic has introduced a range of new generation inverters featuring an energy-saving standby mode for a reliable and safe 230-volt energy supply for sensitive electronic devices while on-board. 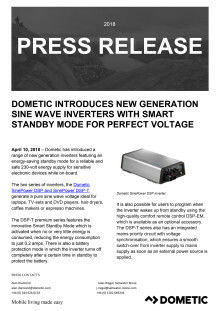 The two series of inverters, the Dometic SinePower DSP and SinePower DSP-T, generate a pure sine wave voltage ideal for laptops, TV-sets and DVD players, hair-dryers, coffee makers or espresso machines. The DSP-T premium series features the innovative Smart Standby Mode which is activated when no or very little energy is consumed, reducing the energy consumption to just 0.2 amps. There is also a battery protection mode in which the inverter turns off completely after a certain time in standby to protect the battery. It is also possible for users to program when the inverter wakes up from standby using the high-quality comfort remote control DSP-EM, which is available as an optional accessory. The DSP-T series also has an integrated mains priority circuit with voltage synchronisation, which ensures a smooth switch-over from inverter supply to mains supply as soon as an external power source is applied. The DSP-T premium series is available in four model versions from 1300 to 3500 watts, each for 12 to 24 volts. The standard SinePower DSP series inverters are available in a 12 and 24-volt version in six performance categories with continuous output ratings from 150 to 2000 watts. The DSP models of 600 watts and beyond offer an energy saving standby mode and smart remote control. Paul Hickinbotham, Product Director Marine EMEA, Dometic, said: “The new Dometic inverters will make it easier and more convenient for boaters to use their favourite home gadgets, on the move or in a marina. The standby mode with the DSP series can reduce energy consumption to a far lower value than most conventional inverters. They save energy and are very reliable in extreme conditions, cutting off automatically in case of overload, overheating, over- or under-voltage. 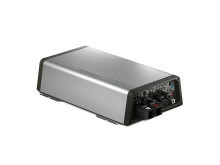 Dometic has also added a new series of DC charging converters to its portfolio. The eight-model PerfectPower DCC range ensures batteries can be optimally charged, plus they also supply DC applicances. PerfectPower DCC converters feature advanced IUOU-charging technology and easily adapt to all common types of batteries (lead acid, gel, AGM). They generate a precisely controlled, stable output voltage of 12 or 24 volts DC, which will reliably and safely supply even sensitive electronic devices. If the required capacity is not supplied, the Dometic converters boost the voltage. The eight model versions are suitable for different tasks and performance requirements, including the classic function of turning 12 volts DC into 24 volts DC, or vice versa. 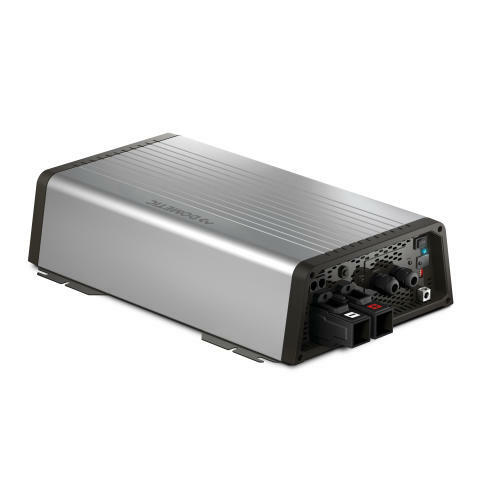 Prices for the Dometic SinePower DSP inverters start at £123 incl. VAT (150W), up to £738 (2000W). Prices for the Dometic PerfectPower DCC converters start from £142 incl. VAT (12V, 12V) (10A), up to £294 (12V, 12V) (40A). 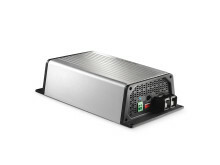 Further information about Dometic’s new range of DC charging converters and sine wave inverters is available at dometic.com. Dometic enriches people’s experiences when away from home by providing smart, reliable products with outstanding design for mobile living in the areas of Climate, Hygiene & Sanitation and Food & Beverage. Dometic manufactures and sells products within these areas for use in mainly recreational vehicles, trucks and premium cars, cruisers and work boats, and for a variety of other uses. Dometic operates 22 manufacturing/assembly sites in North America, South America, Europe and Asia-Pacific. Dometic products are sold in more than 100 countries. Dometic has 6,500 employees and is listed on NASDAQ Stockholm. For more information on Dometic, please visit: dometic.com.